VA Festival of the Book Report: We Will, We Will, ROCK YOU! 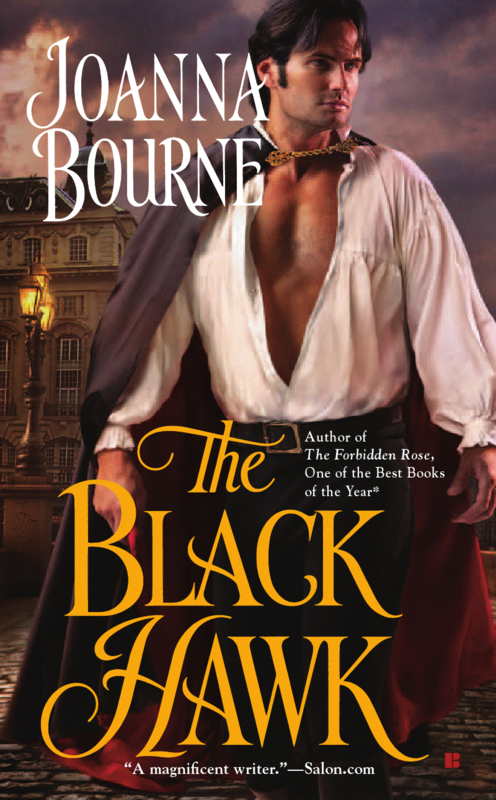 You looked, and you saw nothing on this blog Friday night before the awesomeness of the Pistols, Petticoats, and Poisens panel went down on Saturday at the Virginia Festival of the Book. My bad. Won’t happen again, but let me relate to you the events of the weekend. It all started when a fairy godmother touched her magic wand and said, “You will hang out with some incredibly successful and amazing romance authors this weekend….” I’m kidding. At least about the fairy godmother part, but the rest is really true: I got to spend the weekend rubbing elbows with Joanna Bourne, (luv you Joanna!) 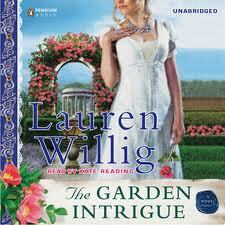 Lauren Willig (So fun–she gives the word ‘perky’ a good name.) Kerrilyn Sparks (she gave me a signed book, squeeeee!) and Katherine Ashe. Not only was Katherine seriously funny, she brought along an up and comer Marquita Valentine who writes small town contemporaries. I know we’re going to be hearing about Marquita soon. We all went out to dinner Friday night with Alleyne Dickens, the president of our local romance chapter, Virginia Romance Writers. It was a really nice balmy spring evening. Dinner is a blurred memory of laughter and fun stories. Strangely enough, almost everyone ordered trout for dinner. We got three desserts, seven spoons, and everyone tucked in, passing them around the table. The next day, the romance authors arrived early to meet with some of the Virginia Romance Writers members. Everyone was well behaved. I have to confess I a vision of women pushing and shoving to get near Kerrelyn, but we’re all such bashful writers, of course everyone behaved beautifully. I went over to peek into Barnes and Noble just to see if Deanna Raybourn and Cathy Maxwell were there yet. It was 11:00am, and our panel was at 12:00. I looked and saw that there were already people in the seats. Whoa! I found out later some fans came from as far as five hours away to be in the audience. It was standing room only by the time we started. The authors had to stand so they could be seen in the back of the room. I’d warned them that this might be the case, and suggested comfortable shoes. ‘Comfortable shoes’ turns out to be 5 inch leopard print pumps for Deanna Raybourn. By the end of the intros the audience was already enthusiastically cheering, and it was clear that the speakers brought their ‘A’ game. Jo Bourne, Cathy Maxwell, Deanna Raybourn, and Lauren Willig were on the first panel–the rest would follow on the second panel. I looked down–and realized I’d forgotten my list of questions. Luckily, I didn’t panic, but just tossed out an easy question: “What do you like about doing historical research for your books? What do you hate?” and then while they all answered, I jotted down a few words of what questions I could remember. Cathy Maxwell, meanwhile, was so reassuring and positive. While I think that the other three authors on the panel, Joanna Bourne, Lauren Willig, and Deanna Raybourn, geek out about research a bit, (and who can blame them? I know I do) Cathy Maxwell’s message was for the most part ‘It’s all right. Write what you want to.’ The other women joined in to endorse her pov. They stressed that there are gaps in the historic written memory, and the distortions that can give one the wrong idea. Just because it wasn’t in a book, doesn’t mean it wasn’t so. Cathy also stressed that we’re all individuals. What ended up written down might not have been true for everyone across the board. In the end, I think people left the panel invigorated and inspired. The romance panel that followed: “Everything I Need to Know I Learned from Reading Romances” had Katherine Ashe, Kerrelyn Sparks, Cathy Maxwell, and Pamela Palmer on it. It was lively too, and the writers had such wise things to say that I ended up taking more notes, though I think the original intention was pure entertainment value. I was particularly struck by Pamela Palmer. She’s an excellent speaker and her fans spoke up in the audience. You could tell they were the die-hard type–always the good sign of an author you’d want to read. At any rate, soon the day was over. Everyone split up to get to planes, and trains, or drive back home. I got to have a MAGICAL dinner with Lauren Willig where we talked about writers who do more than one genre, and the interesting world of historical fiction. I went to bed that night reflecting on what I’d learned. I learned that even well published authors sometimes have to face down the “Regency bullies” online. 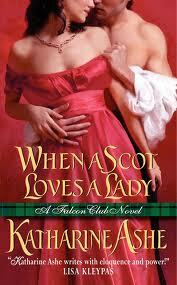 I learned how to get started writing a historical romance. The authors suggest that you gather up the historical materials you want read and immerse yourself in them for about a month. Then start writing. They often leave brackets where they’ll have to go back and research a specific point. However, they also cautioned that if you want to do it your own way, by all means you should. Did you see the panels? What did you think? If more romance panels are organized next year, who would you suggest be on the panel? 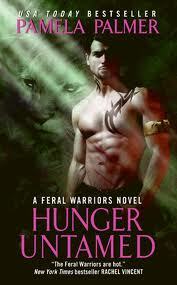 Do you know any authors in North Carolina, Virginia, or Maryland that I should try to get? More resources to share: Joanna Bourne writes a blog for the Word Wenches — a great resource. Lauren Willig has a resources page on her website. Oh, and I also found out that Georgette Heyer is pronounced “Georgette Hair”. This from the lips of a british woman in the audience. Now I know. I’ve heard it pronounced so many ways “Hi-er, Hair, Here,” in the past, that I’d started saying Georgette Higherhairhere out of my own anxiety to offer up the right pronunciation. This is how amazing the historical panel was. 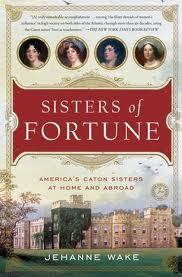 The British woman in the audience who set me straight about how to pronounce Heyer actually turned out to be Jehanne Wake, author of the wonderful Sister’s of Fortune: America’s Caton Sisters At Home and Abroad. I had whiffled through it in about a day or so just the month before. Very well written, and very interesting for anyone who likes to write or read regency. I highly recommend it! Previous DWTS & Maks — Two TV shows in one. It was an absolutely magical event! And I would never have known that you’d forgotten your questions if you hadn’t told me…. Sounds like a great weekend! Glad you had a great time. Wish you coulda been there. Thankyouverrrrymuch! Spirit gum? Like actors used with fake beards? I dunno…. Despite all the historical research I have done — none more so than for my bio of Grace Dalrymple Elliott, My Lady Scandalous — I am firmly convinced that if I ever get the opportunity to time-travel and I am plunked down mid-18th century England — there will be something so common, so everyday, so ubiquitous, that I had never even imagined and that will blow my mind! I can just imagine, Jo!